An Out of Towner Tour of Usinger’s Sausage. While in the state for the Wisconsin vs LSU game, WBRZ TV in Louisiana made a stop at Usinger’s for a quick tour. It’s All Happening at the Fair! The Wisconsin State Fair begins on Thursday August 4th thru August 14th. No trip to the Fair is complete without a brat or a hot dog from Usinger’s, Milwaukee’s oldest family run sausage shop. 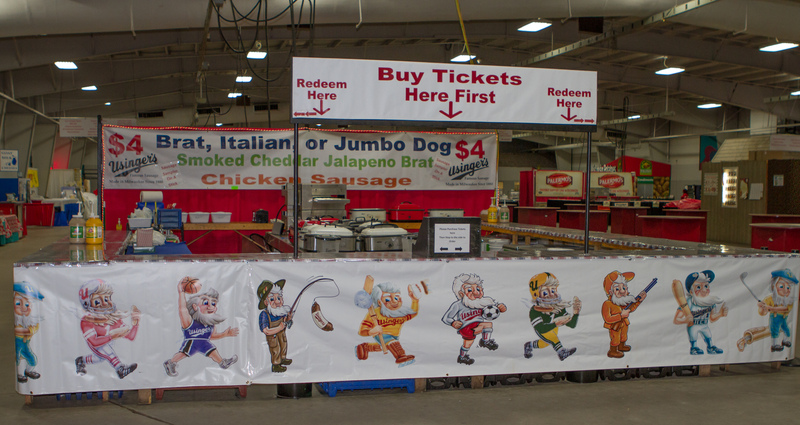 We are located in the air conditioned Wisconsin Products Pavilion where you will find the best food at the best price. All of our sausages are served on hearty Miller Bakery Pretzel buns and are priced right at just $ 4.00. The service is fast, friendly and efficient. Stop in and enjoy some “wurst”. German Fest begins July 29 – 31 at Maier Festival Park on Milwaukee’s lakefront. What a great time to experience German food, culture, music and yes a little beer. It’s like an Octoberfest warm up party. We are proud to be a long time sponsor of Milwaukee’s German Fest and provider of many different types of sausage and meats served during the three day run. 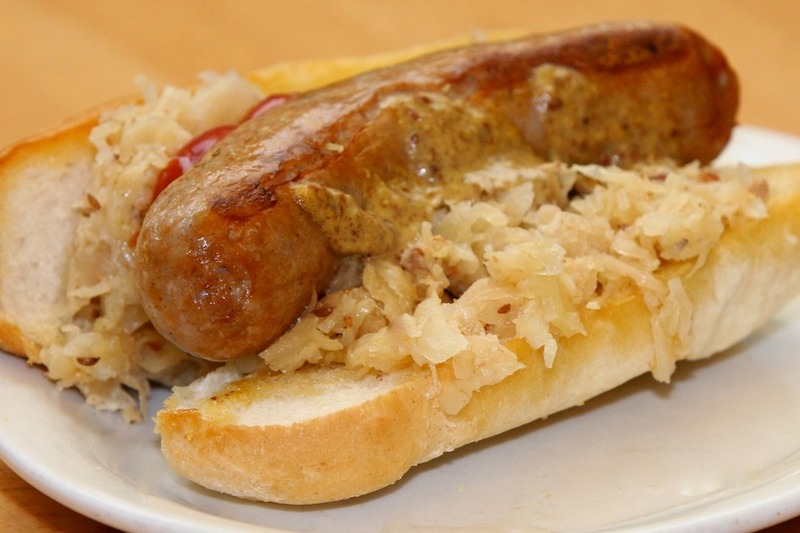 You may want to try a German Fest favorite, the over-sized, October Fest Bratwurst or the spicy Smoked Bratwurst. Then there is the Bavarian Wiener, Knackwurst or the Pork Links that are served with the potato pancakes. Or maybe you want the Smoked Pork Chops (Kassler Rippchen) that are smoked over glowing hard wood embers in our two story brick smokehouses. Don’t forget the Sauerkraut…. We make that too. Hope to see you at the opening ceremonies. Bring your appetite and we will see you there! 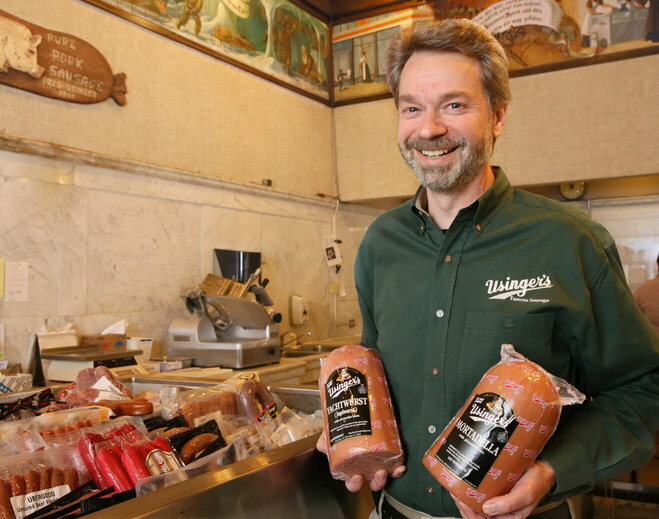 Usinger’s has been voted Wisconsin’s Best Brat in the USA TODAY 10 Best Poll. We’d like to thank all of our loyal fans who have voted daily over the past few weeks. Now that Spring has finally arrived it’s time to fill the grill. One thing that goes great with baseball season is Mr. Baseball Brats. 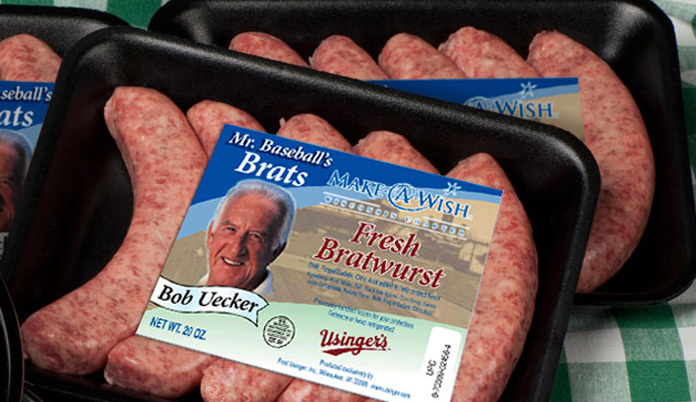 Enjoy Bob Uecker’s favorite brat and help out the Make-A-Wish kids too! A portion of the proceeds from Mr. Baseball Brats goes to the Wisconsin Make-A-Wish Foundation. But it’s not just a great cause, it’s also a great brat! What is a Mr. Baseball Brat you ask ? The Sausage Makers at Usinger’s created a special recipe that is seasoned just the way Bob likes his Brats. You’ll find Mr. Baseball Brats on our website, in our retail store, and also at your local Sendik’s store. Giv’em a try, you’ll be glad you did. “Thanks for voting for us in the Wisconsin’s Best Brat Contest”, we need your support. Thank you for voting for Usinger’s. We will get the results of the vote on Friday and post them here as soon as we know. Watch as Cathy makes a delicious recipe for Italian Sausage and Ravioli using Usinger’s Italian Sausage. The original recipe is in the Usinger’s cookbook and the one Cathy made is listed below. 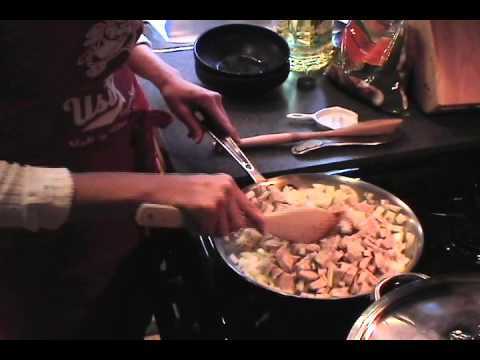 Coat skillet with olive oil, then add chopped onions and Italian Sausage. If you are using pre-cooked sausage, slice it before adding to the skillet. If you are using fresh sausage, add the link to the onions and brown. Once cooked, slice the sausage and return to the pan with onions. While browning sausage and onions, cook frozen ravioli per instructions. Using a four-quart or larger pot, start adding ingredients. Empty the sliced sausage and onion mixture into the pot, then add the pasta sauce. Fold the ravioli into the meat mixture and cook on the stovetop until bubbly. Add the shredded Parmesan Cheese, cover and simmer for five minutes. You can also bake this meal. Spray the casserole-baking dish with no-stick cooking spray. Then, after cooking the sausage, onion and ravioli, layer these ingredients with the pasta sauce into the dish. Bake at 350 degrees until bubbly, then top with Parmesan Cheese, cover and bake for five minutes longer. Spring is straight ahead. That means gatherings of family and friends for Easter celebrations. Count on Usinger’s for unique treats for your guests. Our Apple Wood Smoked Pit Ham has a one of a kind “camp fire” smoky aroma and taste. These hams are smoked in our two story brick pit smokehouses over smoldering apple wood embers. Because this ham is boneless, they are easily carved with no waste. Another Easter season favorite is our Fresh Kielbasa. Made the traditional way with coarsely ground select cuts of pork, old world herbs & spices and lots of fresh garlic. Yes, only fresh garlic! March also mean it’s time for Usinger’s “$9.99” shipping sale on your deli favorites ! Watch your mailboxes and your inboxes for all the details. For a limited time we are offering a $9.99 shipping rate to most states on orders up to 20 pounds. This offer starts on March 21st, just enter the coupon code “spring16” when you checkout. Sorry, this offer does not apply to gift boxes or FedEx shipping. So, whether you’re planning an Easter celebration or an Opening Day tailgate party, now is the time to stock up. 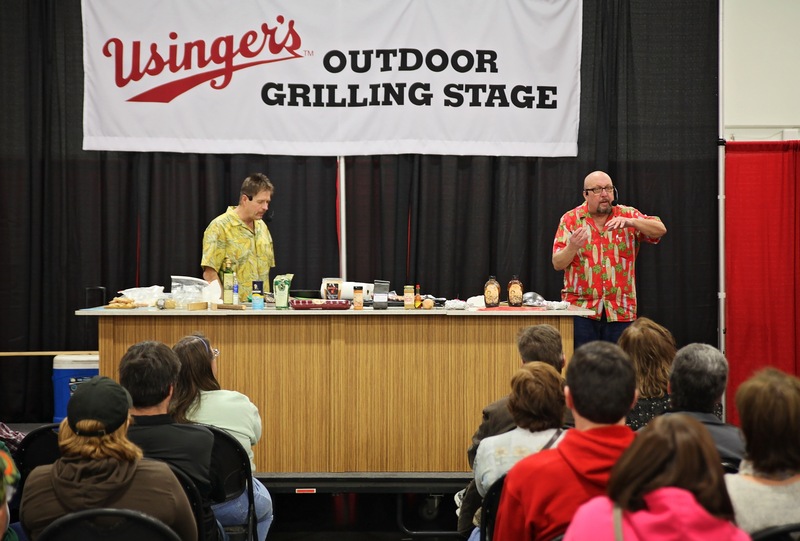 Be sure to catch Mad Dog and Merrill at the Usinger’s Outdoor Grilling Stage at the Milwaukee Journal/Sentinel Sports Show. This year’s featured chefs are America’s Grilling Buddies, Mad Dog & Merrill, appearing all 5 days! The Master Meat Crafter Training Program is a unique, one-of-a-kind program that provides participants with a well-rounded, in-depth, and comprehensive knowledge about Meat science and meat processing principles. It also delivers development opportunities for future meat industry leaders, and helps to ensure the US meat industry remains strong and viable for years to come. It is comprised several meat science short courses and workshops, an extensive mentorship program to share the knowledge gained with employees or coworkers, and individual research projects based in the candidates’ processing plants. Topics covered throughout the two year training course include general meat processing, fresh meats, curing, fermented & dried products, cooked & emulsified products, food safety & meat microbiology, and development/implementation of HACCP (Hazard Analysis and Critical Control Points). Master Meat Crafter graduates set the Wisconsin meat industry apart as a leader in the nation. UW welcomes people from other states to come learn from their Master Meat Crafter Program. This unique program had humble beginnings as a means to strengthen and improve the meat industry in Wisconsin. As the initiative gained momentum, the Master Meat Crafter brand has expanded as far as the east coast and Alberta, Canada. 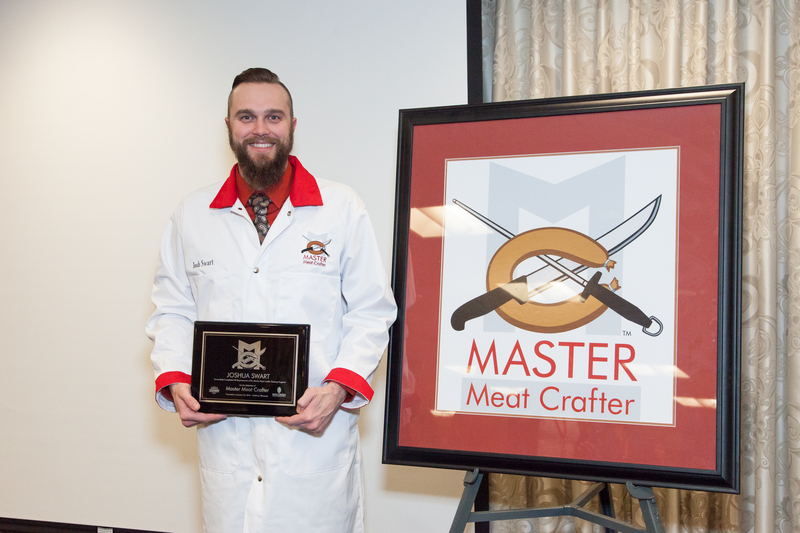 Upon status, each graduate will be able to exhibit their expertise and knowledge by use of the Master Meat Crafter logo on their product labels, signage, web presence, or personal branding. The Master Meat Crafter Program has been developed in conjunction with the Specialty Meat Development Center and is supported by DATCP, University of Wisconsin Meat Science Extension, University of Wisconsin-Madison, and the Wisconsin Association of Meat Processors. The goals of the program are to: 1) provide participants with well rounded, in-depth, and comprehensive knowledge about meat science/meat processing principles, 2) provide development opportunities for the future meat industry leaders, and 3) help ensure the US meat industry remains strong and viable for years to come. It was created and is currently organized by Dr. Jeff Sindelar, University of Wisconsin-Madison Associate Professor and Extension Meat Specialist. Master Meat Crafter program is part of UW.